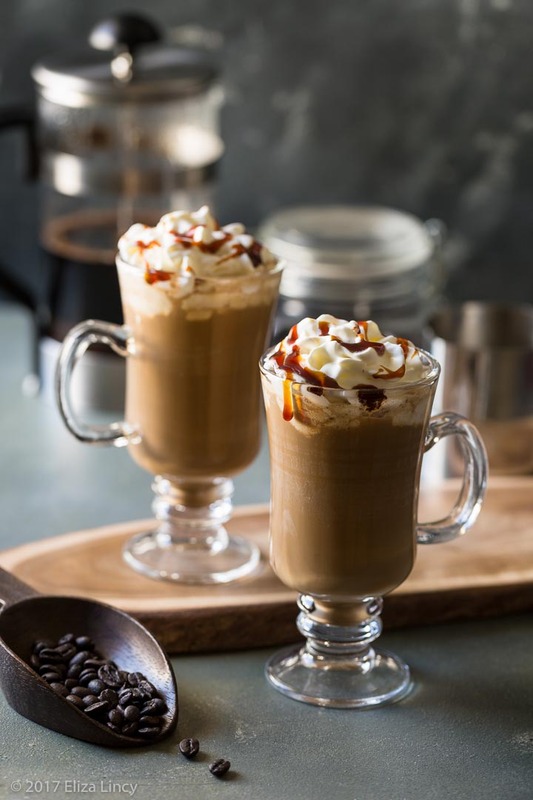 Coffee Frappuccino Recipe - Coffee house chains like Starbucks, Cafe Coffee day, Caribou Coffee haven't lost their popularity among coffee lovers yet. Taking a break from shopping or chilling out with friends in these coffee bars are quite common, but you'd still have to frequent it to satisfy your coffee buds. 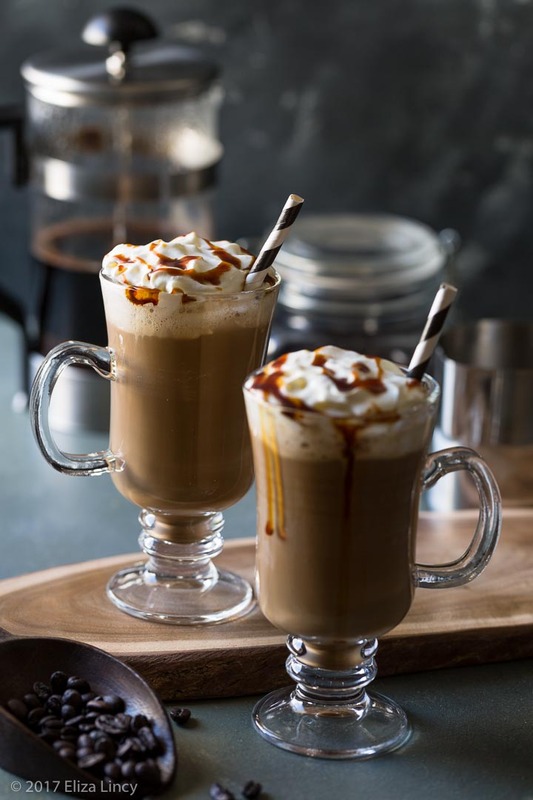 These frothy drinks could be now prepared at home in a quick and easy way. 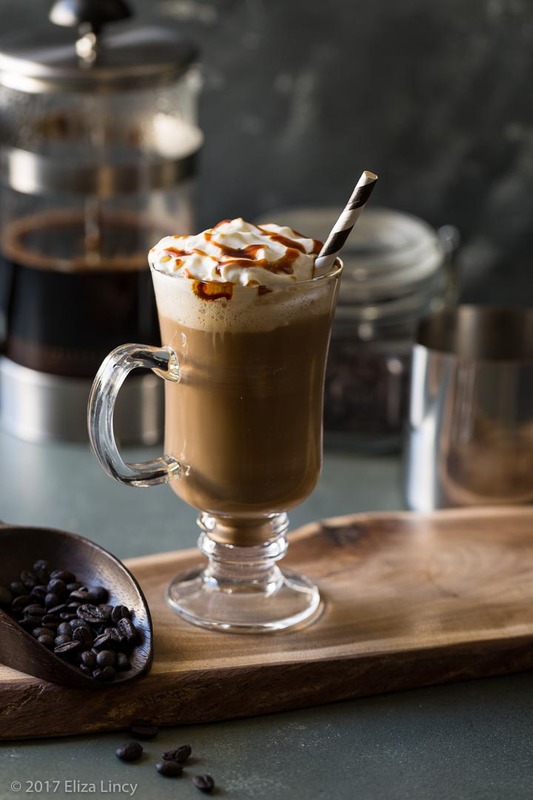 See how to make Coffee frappuccino at home. 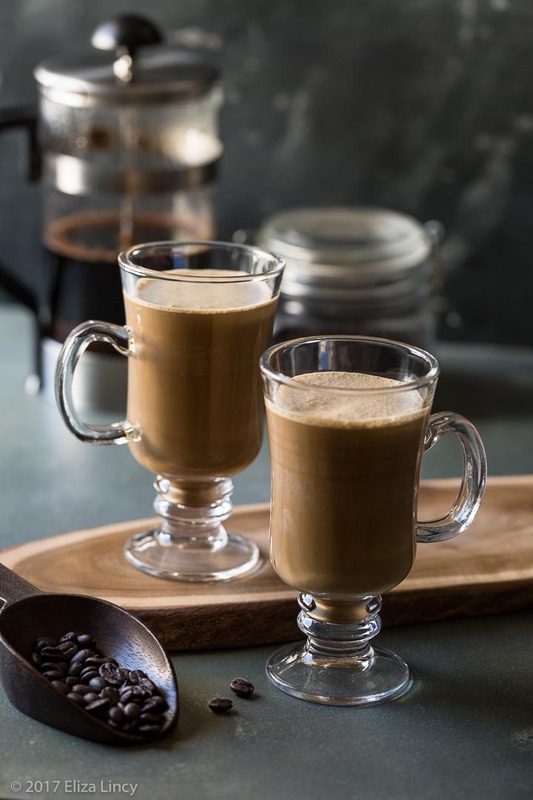 Prepare strong espresso or use Instant coffee powder 3-4 tablespoons dissolved in 1 cup of hot water to make strong coffee. 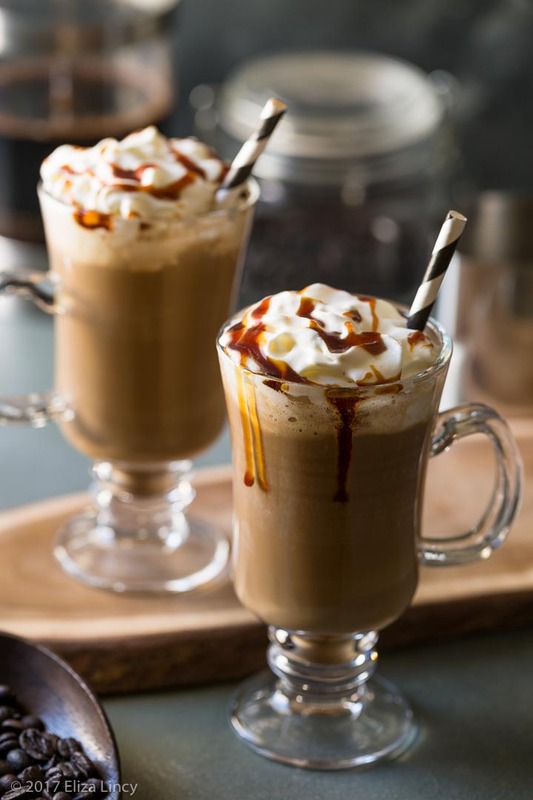 Allow to cool the coffee inside refrigerator once it reaches room temperature. 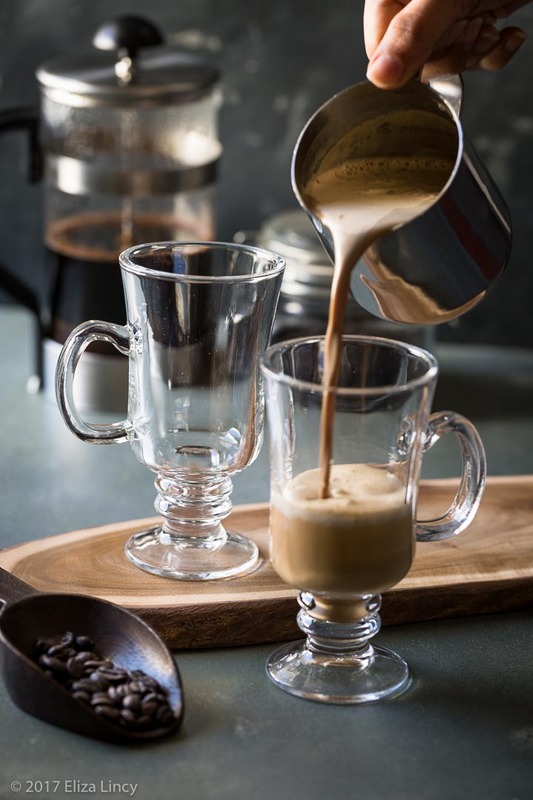 In a blender jar add ice cubes, chilled espresso, condensed milk and milk. Add vanilla ice cream if you prefer a rich and creamy consistency. Blend well in a blender till frothy. 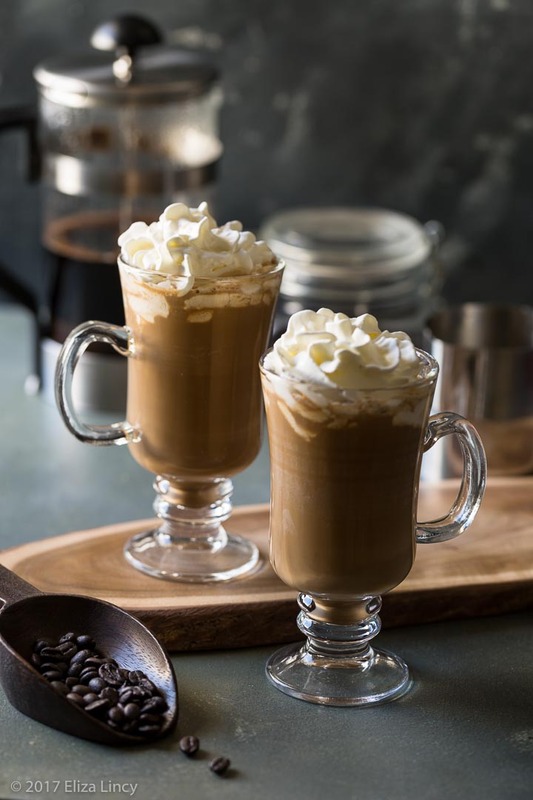 Serve in glasses topped with whipped cream and drizzled with chocolate or caramel syrup or dust some coffee powder on top. Note: You could replace milk with soya milk or almond milk to make healthy version of the frappuccino.